Traffic is a notable problem in New York as mass transit is becoming riddled with delays, signal failures, and decades-old infrastructure. Congestion pricing would raise much-needed funding for long-term improvements to the region’s transit system, reduce air pollution and greenhouse gas emissions from cars, and decrease traffic congestion by encouraging the use of public transportation. Some Suffolk County communities may soon be integrated into a new public sewer treatment system that would protect public and environmental health from this avoidable form of pollution. There is currently $390 million in federal and state funds ready to be used to advance sewer expansion projects as part of the Suffolk County Coastal Resiliency Initiative that was created after Hurricane Sandy. Over the last fifty years, there has been a major increase in extreme weather, such as heat waves, droughts, and intense hurricanes. One of the most direct ways we experience the effects of climate change first-hand is when our communities are hit with extreme weather - and we can expect extreme weather events to increase in frequency and severity over time. Technology and digital innovations have had a positive impact on our environment - we have the internet to thank for a large reduction of paper and waste. But these innovations can also have negative impacts that we should be aware of. Earlier this year the U.S. Department of Health and Human Services’ Agency for Toxic Substance and Disease Registry (ATSDR) found that toxic chemicals in drinking water can be harmful at much lower levels than the EPA previously reported as safe. Newly disclosed e-mails between members of the EPA revealed that the agency tried to keep this information hidden to avoid conflict with the public and a negative reaction from the media. Recently, the New York Appellate Court issued a decision that will preserve protected farmland in Suffolk County for generations to come. To understand why this decision is a victory for the environment, we first have to travel to pre-suburbanized Long Island, the 1970s, and the long ago year of 2016. 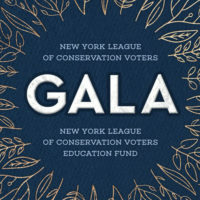 Every two years, the New York League of Conservation Voters Long Island Chapter works closely with local advocates to develop a policy agenda. This Blueprint for a Greener Long Island provides specific actions government officials can take to fight climate change, conserve our land and water, and protect public health.